Recycling Makes a Huge Difference...Start Now! Recycling Makes a Huge Difference…Start Now! Recycling is more important than ever at present. This is because the population is growing, not shrinking. If we want to leave this planet for our future generations, it is time that we start to act. Our focus should be on sustainable growth and development. Everyday new products are being manufactured and each one of us is responsible for adding on significant amount of waste to the planet. At the rate that we are felling trees to produce paper, it will strip Earth of valuable forest land and contribute towards deserts which will eventually envelope us whole. So, we need to stop just chucking all the old things that we don’t use anymore into the trash so that it chokes up landfills but instead, we should take out the time to sift through the products that we are throwing away and patiently separate the ones that can be recycled and re-used. All materials are not recyclable. What you should do is get recycling bins so that you can segregate recyclable materials from the non-recyclable ones. Glass, paper, metal, plastic, textiles and electronics are some of the materials that can be recycled and reused. The use of food and organic waste as compost is not considered as recycling but it is a good way to start reducing the amount of waste that ends up in landfills that are already fighting for space. We understand that life is tough and from your busy schedule, you might not get the time to participate in recycling Adelaide activities. But what you can do is get in touch with service providers who can provide you with bins and also collect the waste from your home or office. Place the recyclable materials in the recycling bin and the non-recyclable ones in the waste bin. The professionals will pick the bins up, sort out the materials, clean it and reprocess them into new materials. This little effort from your end is actually a big step towards saving our environment and making it livable for the generations to come. The more new products are created, the more resources and energy is wasted and not to mention, the amount of waste being generated as we throw away the products thinking that they’ve served their purpose. ‘Reduce, Reuse and Recycle’ should be your mantra if you want to raise your children in a safe and healthy environment. 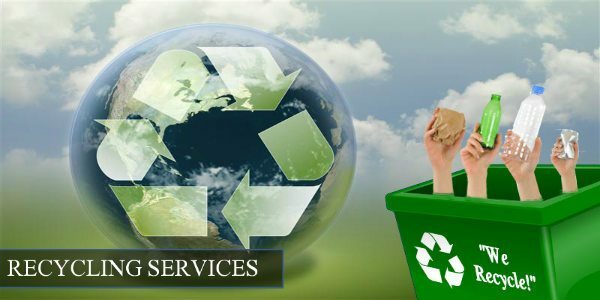 Contact reliable and affordable service providers and ask for bins for your home or office and actively work towards saving your planet. Next Next post: Why is Rubbish Removal Important?